Looking for a home in the suburbs of Charlotte, North Carolina—a place where you can enjoy close proximity to big-city features, without all the hustle and bustle of urban life? A place where you can enjoy quiet and leisurely days but also have plenty of amenities, just down the road? The place you’re looking for does exist—and it’s called Mooresville. Mooresville, North Carolina joins Davidson, Huntersville, Concord, and Cornelius in the outer orbit of Charlotte’s suburbs. It’s close enough to the Queen City that you can pop in when needed, but sufficiently far away that you can enjoy the kind of tranquil, all-American lifestyle that’s so hard to come by these days. It’s a beautiful community with a number of lovely homes—and it’s certainly worth a closer look. Looking for a specific community in Mooresville? How about waterfront in Mooresville? We've made it easy on you! 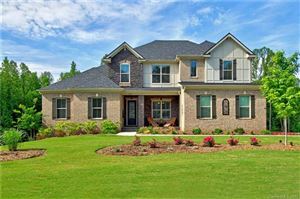 Click the links below for popular communities in Mooresville, NC.